National Football League, Respondent, is an unincorporated association of 32 professional football teams that produces an annual season of football games and the Super Bowl championship game. In 1963, the teams of the NFL formed National Football League Properties (NFLP) to “develop, license, and market” the teams’ intellectual property. NFLP is responsible for granting licenses to manufacturers and vendors of various consumer products that feature the logos and trademarks of the NFL teams. One of those licenses was granted to American Needle, Appellant, which produced headwear (such as baseball caps and stocking hats) that bore the logos of the different NFL teams. This license was valid till 2000 and then in 2000, the NFL teams voted to authorize NFLP to grant an exclusive license for headwear to Reebok. American Needle Inc. filed a suit against the National Football League (“NFL”) and Reebok International Ltd. alleging that the teams’ exclusive licensing agreement with Reebok violated Section 1 Sherman Antitrust Act as the decision by the NFL teams to grant the exclusive license to Reebok constituted an agreement among competitors in restraint of trade. The district court decided in favor of respondents, holding that “the NFL and the teams act as a single entity in licensing their intellectual property. The Seventh Circuit Court of Appeals affirmed the judgment and held that NFL teams were a single entity for purposes of antitrust laws, and thus were immune from Section 1 claims. Thus, could not have conspired to restrict trade. Both American Needle and the NFL requested that the Supreme Court to hear the case. Whether the NFL and its thirty-two member teams are best described as separate actors or as a “single entity” for antitrust purposes? Is the agreement of the NFL teams among themselves and with Reebok International, in which the teams agreed not to compete with each other in the licensing and sale of consumer headwear and clothing decorated with the teams’ respective logos and trademarks, and not to permit any licenses to be granted to Reebok’s competitors for a period of ten years, subject to a rule of reason claim under Section 1 of the Sherman Act? American Needle contended that NFL is not a single entity rather an independent firm that competes with other teams and therefore, is subject to the Sherman’s Act. It further contended that NFL teams “are separately owned and controlled profit-making enterprises,” each of which independently owns the intellectual property that is licensed to the vendors and therefore, any agreement between the NFL teams is subject to Section 1 scrutiny. It alleged that the contract between NFL Properties and Reebok was the result of an illegal conspiracy among the NFL and its teams. American Needle contends that Congress has ratified and endorsed the idea that the NFL teams and other sports leagues should not be immune from antitrust scrutiny and American Needle notes four separate occasions in which Congress failed to pass bills that created antitrust immunity for sports leagues, including the NFL. To support its contention, To support its claim, American Needle mentioned two legislative measures, the Sports Broadcasting Act71 and the Curt Flood Act, 72 both of which it argues are “premised” on the notion that antitrust laws apply to agreements between separately owned professional sports teams. It further argued that the products that are produced by NFL cannot be produced by the individual entities alone. The NFL said it was incapable of conspiracy because the league and its teams were a single entity. 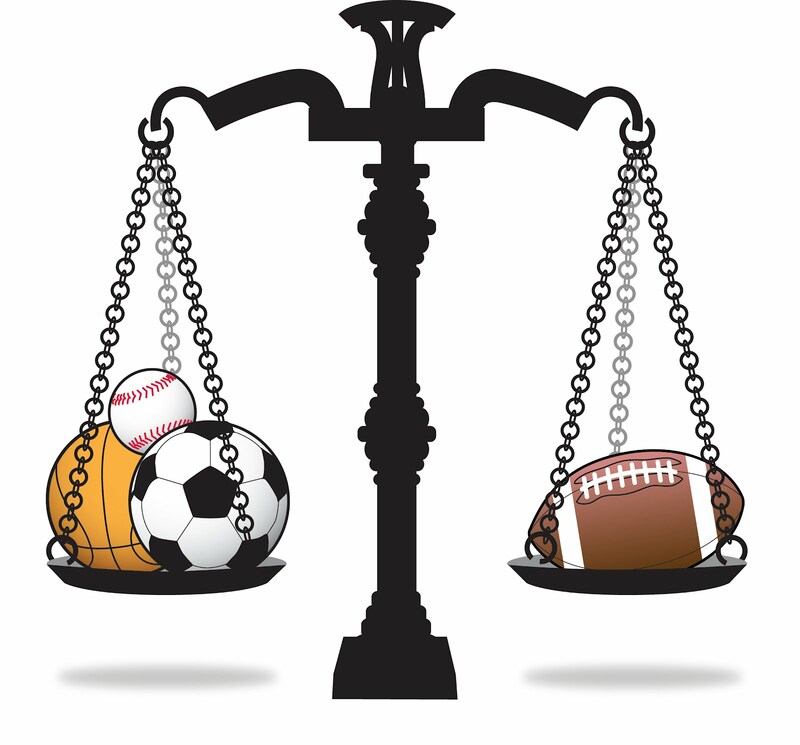 It further contended that the Seventh Circuit correctly determined that, in the field of intellectual property, NFL clubs have acted as a “single entity” sharing both revenues and costs for almost fifty years. Though the teams compete on the field, the economic interests of each team are directly linked to the success of the league as a whole. It further argued that the league’s true economic competition is with other professional sports and types of entertainment. It also challenged the American Needle’s assertion that Copperweld requires a “complete unity of interest” for single entity treatment, arguing that such a standard is inconsistent with some courts of appeals decisions and would subject to Section 1 scrutiny. It also contended that this is a case of intra-league agreement and therefore, Radovich vs. NFl 352 U.S. 445 (1957), which talks about an agreement between two separate football leagues, is not applicable to the present case. It held that for the purposes of marketing and selling their intellectual property, the thirty-two teams under the auspices of the NFLP were not a single entity and therefore, the NFL was not a single entity. It held that NFL teams are distinct economic actors with separate economic interests that are capable of conspiring under Section 1 of the Sherman Act. The NFL do not possess the “unitary decision making quality” required and therefore, the Supreme Court didn’t place reliance on the single entity theory. In particular, the court took aim at the appellate court’s “source of economic power” reasoning, stating that just because the financial performance of a team is related to other teams does not mean it necessarily rises and falls with that of the others. It also held that any unilateral decision made by the NFL that affect all the teams shall be viewed under the “Rule of Reason” for antitrust purposes.